As you may have noticed over the past year I have gotten more and more into crafts, especially fun crafts and I really enjoy painting stones and bottles and making crafty things. Well this month I have been making the hallway corner into a crafting space that I love. The corner at the bottom of the stairs has been a dumping zone for so long and I wanted to make a change. So I did something I do not usually do and that was spend some money on me. 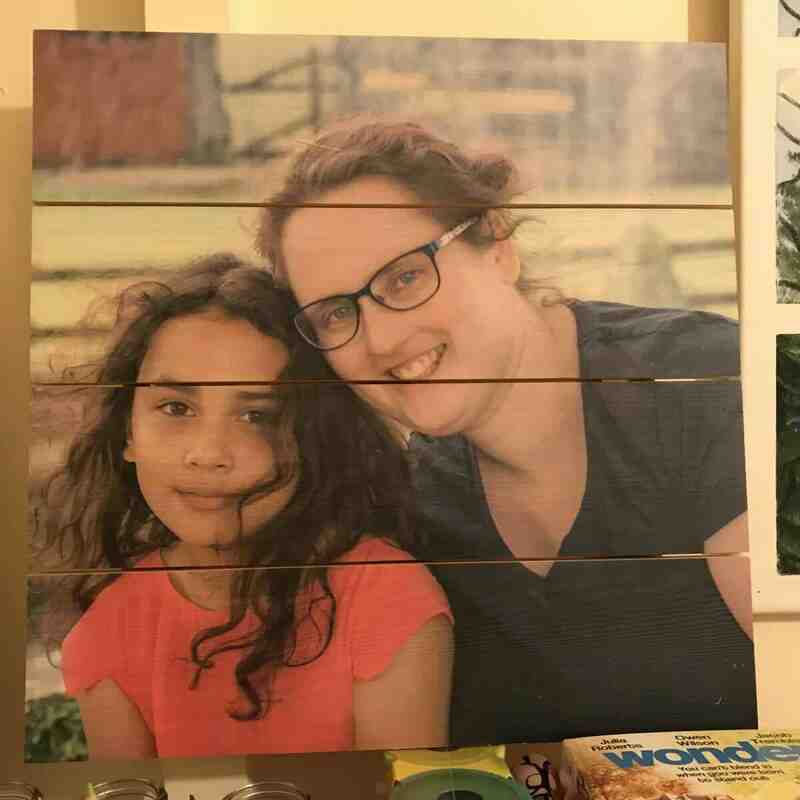 I bought some lovely craft units and then ordered some Wooden Canvas Portraits from Hello Canvas. I really am excited. 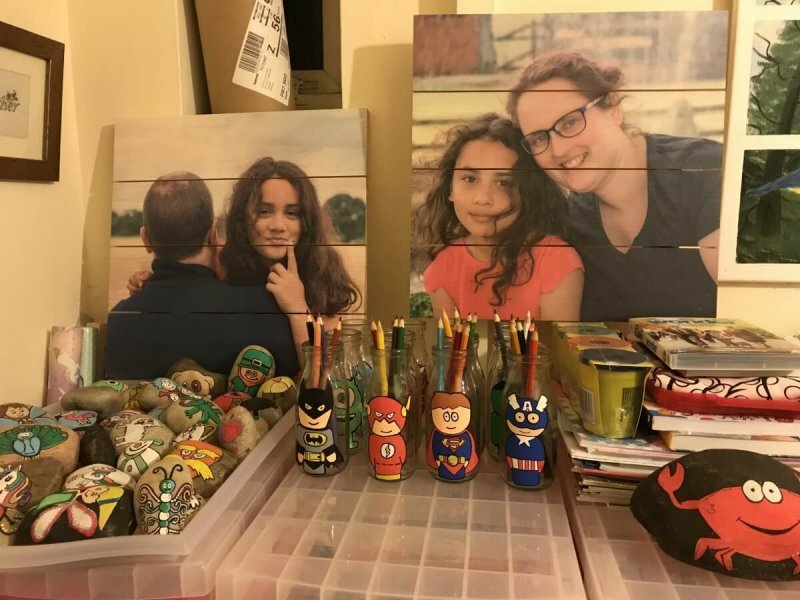 I have three bright and colourful sets of drawers to store all my paints, craft supplies and recycled bits and have been able to personalise my space with family photos. I’m a huge fan of recycling and I have been collecting all sorts of items so I can paint and create without having to pay out a lot of money. Crafting on a budget is really important to me. I’ve sourced supplies and been lucky to work with a few companies such as Hobbycraft and Art Supplies and I am slowly building up my collection and doing bits of work and blog posts in return for the supplies I need. Well I wanted to make my craft corner personalised and when my new wooden canvas photos of Sylvia, me and John arrived I decided to put them in my crafting corner. It really livens the area up and is the perfect spot. I may move them in the future but for now I love that these Portraits from Hello Canvas and think they are amazing. In fact I got a wooden portrait about a year ago from the same company and I love it. I knew I would love the square ones too when I ordered them. I was not disappointed. So my craft corner is almost all organised. I am going to add some labels to the draws so I know where everything is and then I can start doing batch art for the blog and work on projects in a more organised way. 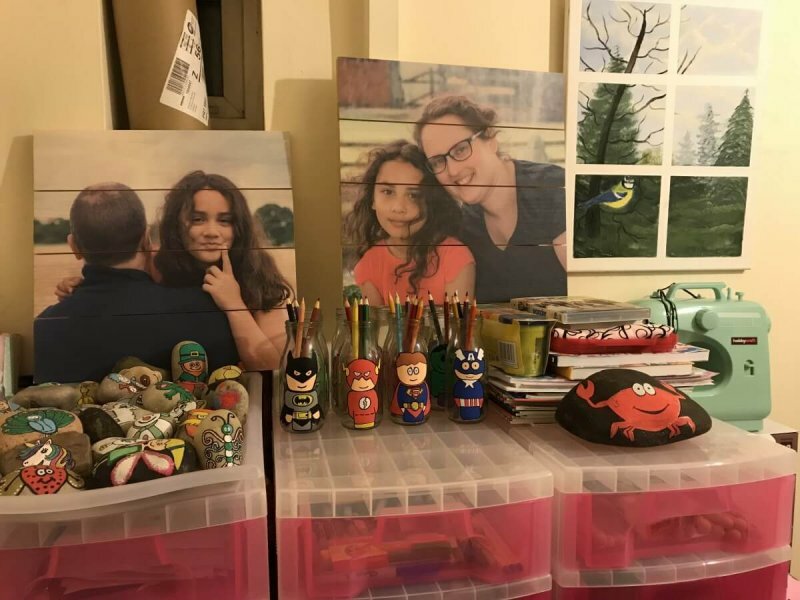 The craft corner with my art and our canvas portraits looks great. It’s so homely and so me and I am so happy to be finding myself, finding out my talents and what I can do. I’m super excited and have made a content plan for the next 12 months. I can’t wait to keep working on the blog and working on areas of the home. 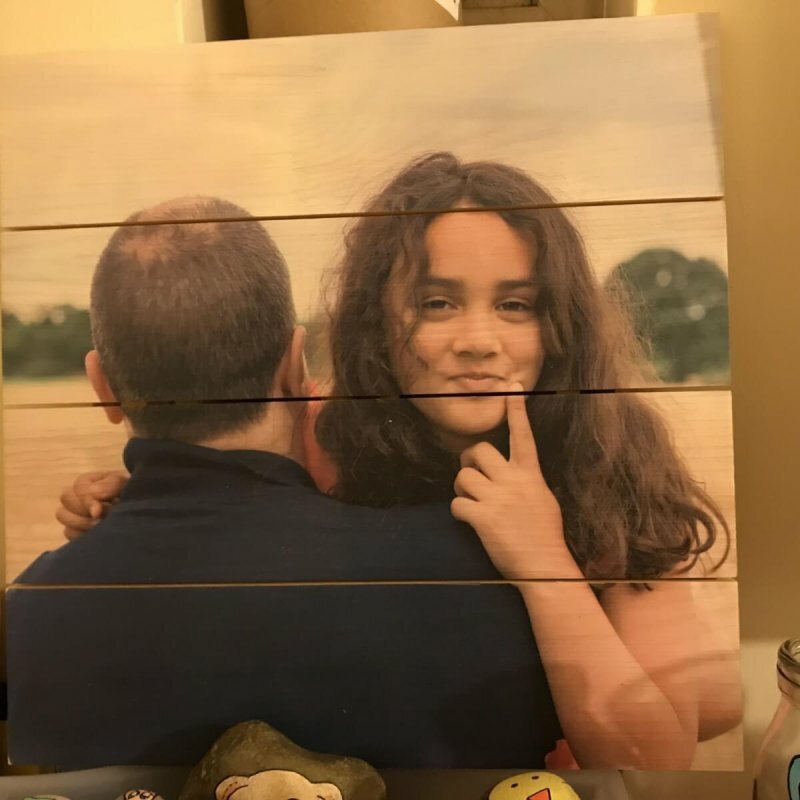 I hope to get more wooden canvas portraits in future as they are such good quality and they really do look great in my home. I’m so pleased with them and am tempted to order another, maybe one of Yoda and Casper. We will have to get a good photo of our Bichons after they have been groomed. Well this is my new craft area and I am excited to be moving forward with my 5 year blog plan. I am 3 years and 4 months into my plan and things are slowly getting better. I am excited and feel so blessed to be able to review wonderful products for my home and do something I love. I will keep working on making my home beautiful. It’s so exciting! I look forward to sharing more next week.